Jim Avila looks at a highly ranked school, shaken by gun violence. 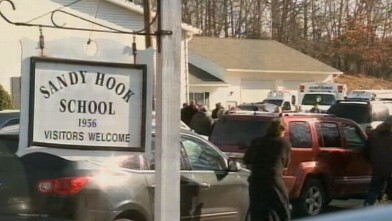 we have been telling you all day about the tragedy at the school in connecticut, sandy hook elementary. Considered by so many people an extraordinary school. Parents hoping their children can attend. Abc's senior national correspondent jim avila tells the rest of us what makes those classrooms so special. Sandy hook elementary, with small class sizes and reputation as one of connecticut's as one of connecticut's top schools. Scored a perfect 10 by greatschools.Org is the jewel of this picturesque new england town, a magnet for young to hartford or newhaven so their kids could be educated here. Huss will sacrifice the commute to come to newtown if it's a little farther than anywhere else. Caitlin tef went to sandy hook as a little girl. It's a small girl, but i just, I don't know, it was just really important to me and really important in my development. Reporter: And while the town is idyllic in a school of warm embrace, to the kindergartners through fourth graders who attend here, she remembers how prepared they were for a tragedy like today drilling in very classrooms so terrorized this morning. They locked the door and shut off the lights. They had to be quiet. Which is hard for kids when they think it's not real. But I think some knew it was really serious this time. The pain magnified by the irony that its pride and joy, sandy hook elementary now endures a new legacy so different from the old. To have this happen in your community, it's painful? It's extremely painful. We're all in shock. People are coming to the church to walk in and pray and they have blank faces. Reporter: Sandy hook elementary is more than just a place parents sent their children for a good education. It is the center of the community, a pride and joy and something that now has been damaged forever. Amy Robach on the emergency training that helped teachers react to the shooting.